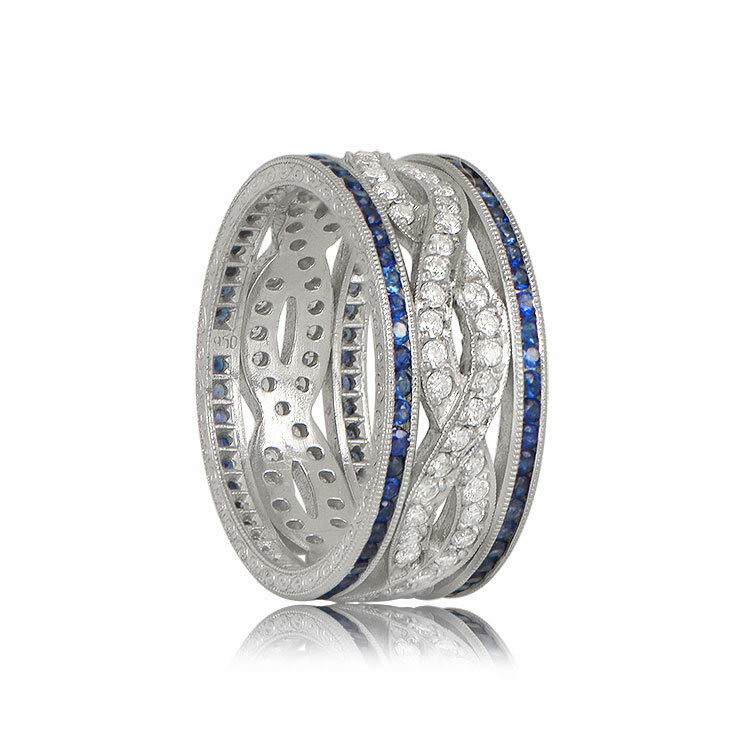 A beautiful delicate platinum wedding band adorned with round sapphires and diamonds. 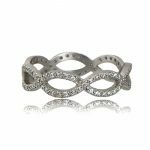 The wedding band features two rows of intertwining bands of diamonds that are woven within the center. 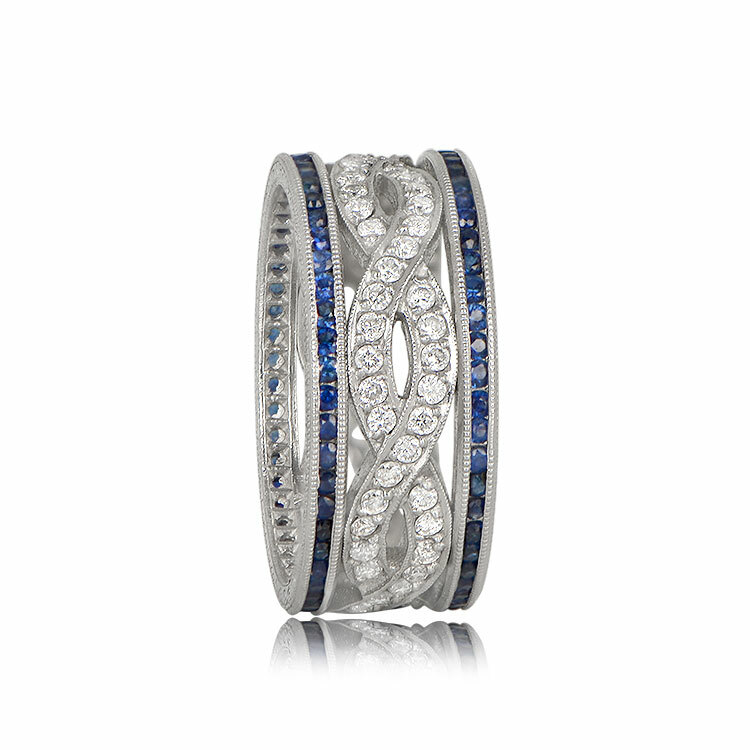 The sides are bordered by a row of Ceylon sapphires on each side. The diamonds are brilliant-cut, H color, and VS1 clarity. The sapphires are very fine quality royal blue Ceylon sapphires. 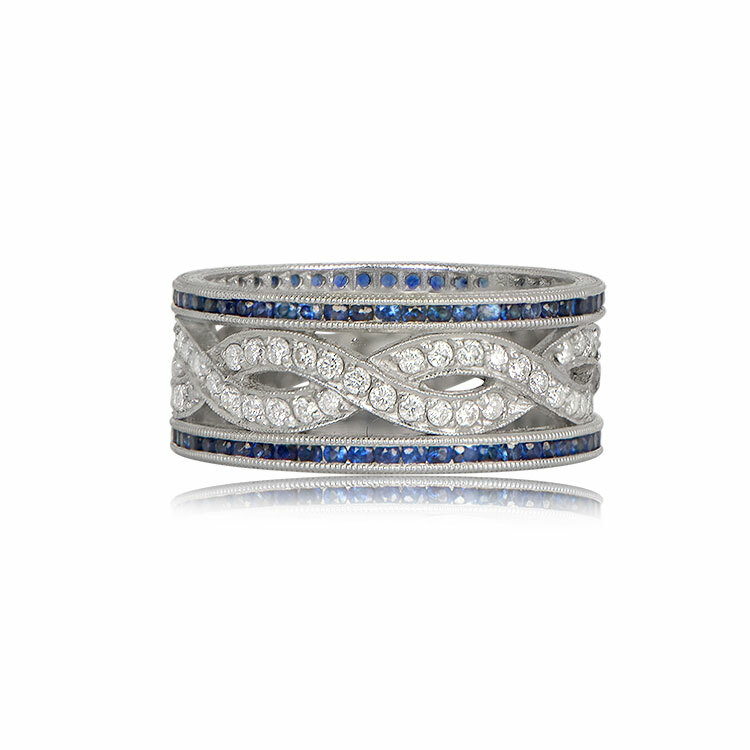 This band is bejeweled with approximately 1.50 carats of Ceylon sapphires and approximately 0.70 carats of diamonds. 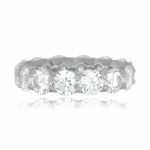 This wedding band is 8mm wide. Can be ordered in any size. Surcharge for sizes above 7 1/2.Returns of bands in sizes smaller than size 5 or larger than size 7 will be subject to a 10% re-stocking fee. 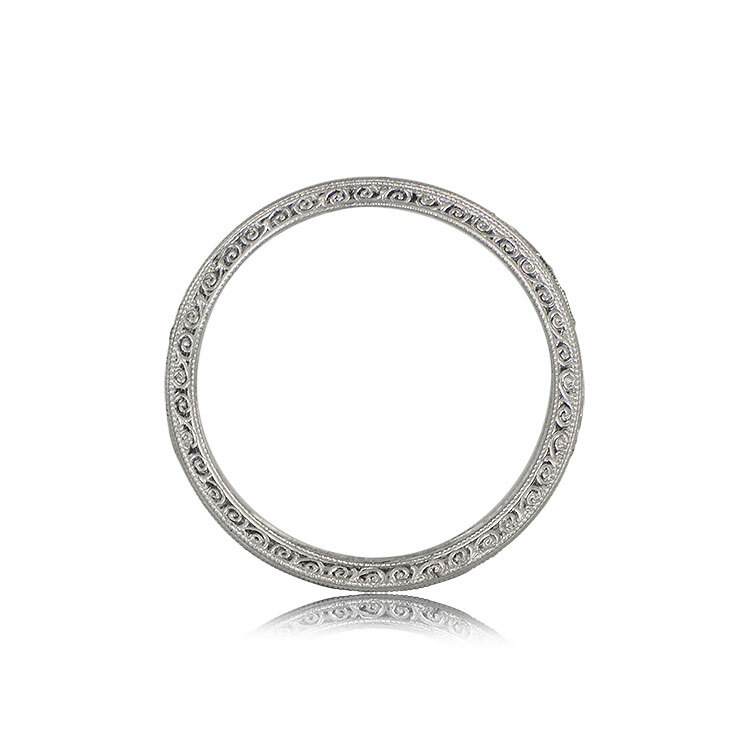 SKU: 4235 Category: Vintage Wedding Bands - Contact us and request additional pictures.